This gaming destination, injected with casinos from Las Vegas and Australia, has a wide range of places for players of all skill levels to throw their chips and cash in. They also continue to grow and boom with more than half of the region's revenue coming from gambling. Slot machines, Fan Tan, roulette, baccarat, Sic Bo, keno, blackjack, as well as a whole host of lotteries and sports betting make up just a fraction of the attractions available to visitors across the 23 locations across the Macau Peninsula and an additional 10 on Taipa Island. Some of the current installations include some familiar and foreign to Westerners. The Venetian Macau, the largest casino in the region, Casino Oceanus, Jai Alai Casino, MGM Macau, Emperor Palace Casino, and five different Galaxy casinos are all represented, just to name a few. Unfortunately, for the time being, none of the mainstays currently offer online gambling opportunities, beyond the ability to submit bets on horse races via a website, based in Macau. Thanks to what seems to be ever increasing tourist traffic through the casinos that make up the Macau gambling scene has set another year-over-year record for earnings. With most of the tourism in the region coming from mainland China, February saw success to the tune of MOP38 billion (US4.75 billion by current exchange rates). The region is clearly no stranger to huge earnings, this new high overtakes the previous record of MOP36.5 billing (US4.56 billion) which came up just in October of last year. In March of 2013, the area had another chart topper with MOP31.3 billion (US3.91 billion), dethroning the same month of the previous year which earned MOP24.96 billion (US3.12 billion). Experts believed that this year's shortest month would come close to last year's earnings of MOP27 billion (US3.37 billion) but it seems that nobody expected such an overwhelming rise, even with the Chinese New Year kicking off the month with a bang every year. February 2014 saw 770000 visitors flocking through the area from the Chinese Mainland, an increase of 23%. 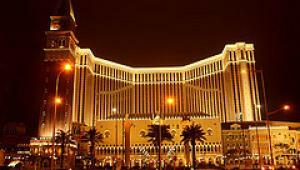 With no signs of tourism dropping off and record breaking looking to be on the rise, the impression is given that Macau could strike it rich with a monthly taking of MOP40 billion (US5 billion) or more sometime in this fiscal year. Only time will tell if the pattern will continue, seeing March and October post new highs or if other months will show increased profits as well.